Perfect for your 8-seater Vasto or Cubo garden table! Extend the life of your garden furniture by protecting it when it's not in use. This dust cover is made from a polymide-coated polyester. The PA coating means it's fully waterproof and water-repellent. It'll protect your furniture from the rain, dust and sunlight. Your furniture will last longer and not suffer damaged caused by the elements. 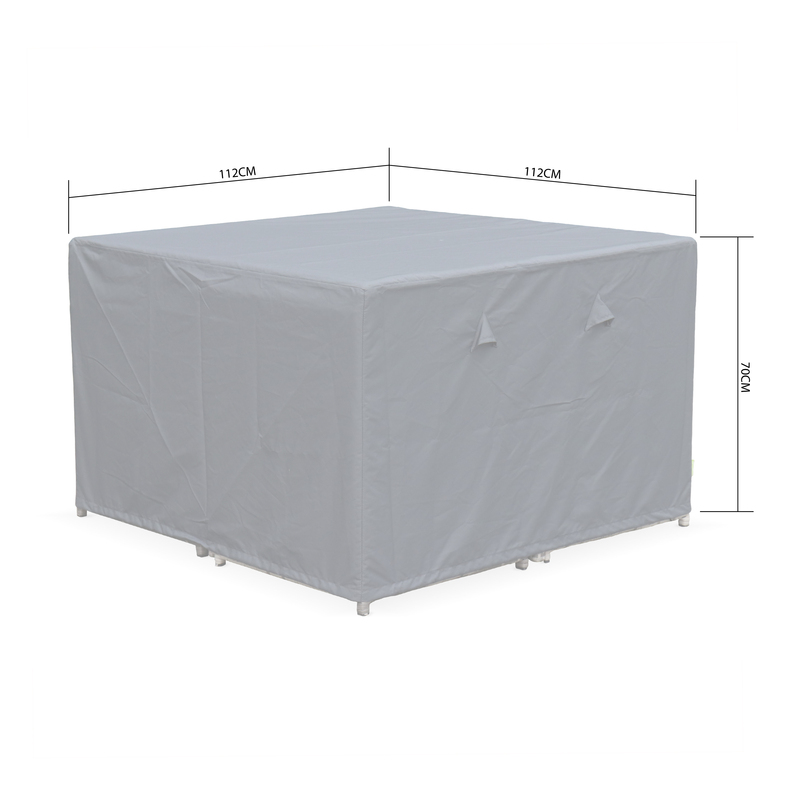 This anti-UV treated cover has a practical drawstring with eyelets. The drawstring is threaded through the eyelets, so you can secure the cover and keep it in place. It also has four air vents to prevent condensation. Air circulates around the bottom of the cover. This prevents mould from forming. Please note: this cover is designed for Alice’s Garden’s Vasto 8 and Cubo 8 tables. We cannot guarantee compatibility with other models. We recommend you remove all the cushions before putting on the cover. Maintenance: wipe down with a sponge and soapy water.